As a member of the VWCA, you are invited to attend our Annual General Meeting, to be held at 7 PM on Tuesday, November 28, 2017 at the Victoria West Community Centre, located at 521 Craigflower Road. Please note that the Board of Directors will be seeking approval of proposed bylaw amendments, to align with mandatory requirements in the New BC Societies Act. 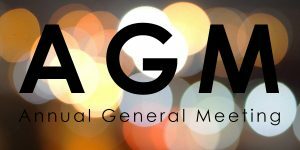 As a service to our membership, childcare will be provided for members wishing to attend the meeting. Should you require childcare, please contact Johanne Thompson at coordinator@victoriawest.ca by November 24th, 2017. Issued on behalf of the VWCA Board of Directors.